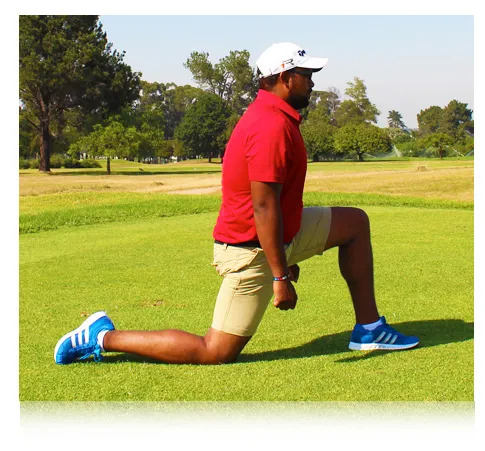 Kneeling on your right knee, bend your left knee to 90° and lean forward until you feel a stretch in your right hip flexor muscle. Now bring your right arm overhead and lean over to the left. Hold this position for a few seconds and repeat on the other side. 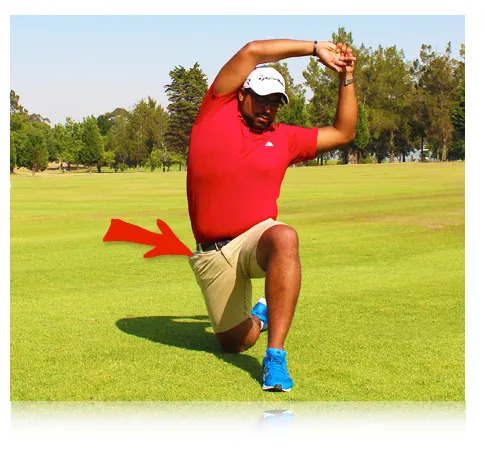 Good hip mobility is key to an effective and powerful swing.